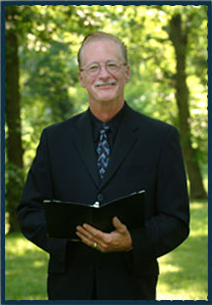 If you are a bride- or groom-to-be in the Delaware Valley/Philadelphia Area, Reverend Kent Foster is the wedding officiant you've been looking for. Rev. Kent will deliver a memorable ceremony, ensuring your special day is all-the-more special. Are you planning your Bucks county, Montgomery county, etc. wedding yet you still have not decided on an officiant? 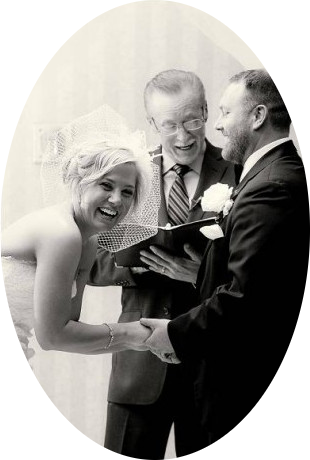 Oftentimes the officiant is the last part of a couples' wedding plan. Rev. Kent will put your mind at ease. His talents will wow your guests and leave you impressed by his friendly, yet meticulous style. Your ceremony is created with heart and soul by Rev. Kent Foster. Your wedding day is and should be one of the most special days of your life. No matter what you have envisioned your wedding day to be, I am committed to exceeding your expectations in ambiance and service. Commitment to excellence, attention to details and personal service will ensure that you, your family and your guests experience a magical day with many fond memories. Exchanging of your vows to your loved one may be in a park, your backyard, your reception hall, or any number of other venues. I’ll make sure you have the most memorable ceremony. Choose from various vow and ring exchange phrases or add your special touch and write your own vows. Poems and thoughtful phrases can be added as a special touch to your ceremony. Candle, sand and rose ceremonies are also available for a very unique wedding. I will completely customize your ceremony to your liking. I will make it the most personal memory of your special day. Poems and readings will be given to you along with vow samples to help you create a heartfelt ceremony for you and your guests to enjoy. Couples always rave about what a wonderful ceremony Rev. Kent delivered. I would recommend Reverend Kent to any bride looking for a personable, professional, and responsive officiant! Kent has the type of personality that makes you feel like you have known him for years only after meeting with him for 30 minutes. I was a little nervous because I didn’t know much about the wedding ceremony format and he put me at ease. You can tell he is passionate about what he does and he brings a special touch to the ceremony making it unique and not cookie cutter. I am so happy that I had him as my officiant. He was a major component in making my wedding day so successful! Thank you so much for preforming such a beautiful ceremony for our wedding. It was everything we dreamed of! Thank you so much for the personal service and the attention to detail that makes our wedding ceremony so special! You’ve been wonderful to work with and we are really happy you were a part of our big day! Rev. Kent Foster was very organized and delivered a very well put together ceremony. I would recommend him to anyone who needs an officiant for their wedding.